Maxtrix calls this the Cave 27. The Cave 27 is a LOW LOFT Full with straight ladder on the side. This low loft is shown in natural with panel bed ends and purple, blue and hot pink TOP and BOTTOM curtains. Full Description Maxtrix calls this the Cave 27. The Cave 27 is a LOW LOFT Full with straight ladder on the side. 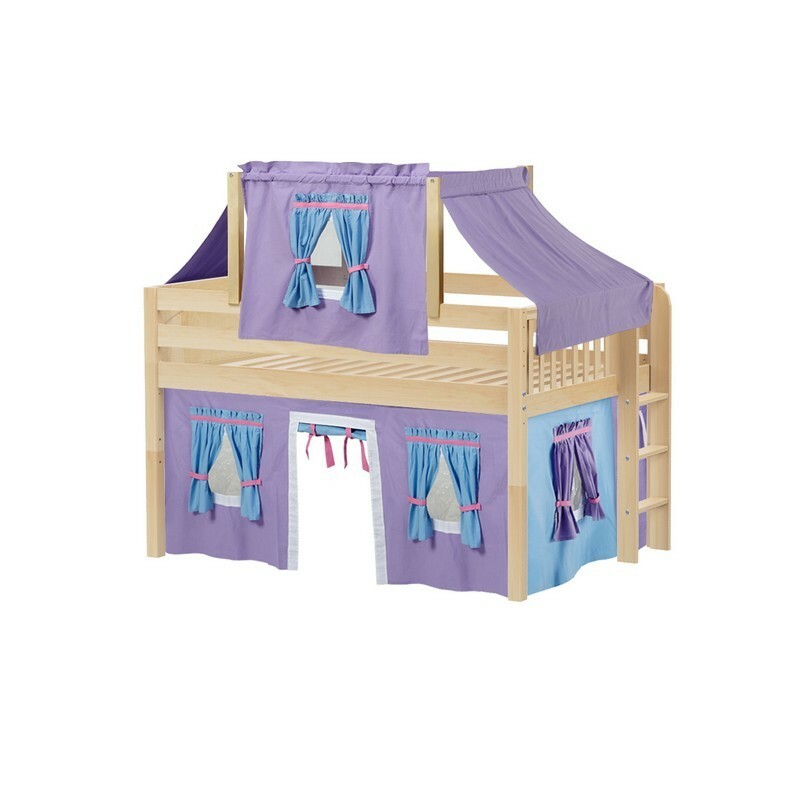 This low loft is shown in natural with panel bed ends and purple, blue and hot pink TOP and BOTTOM curtains.